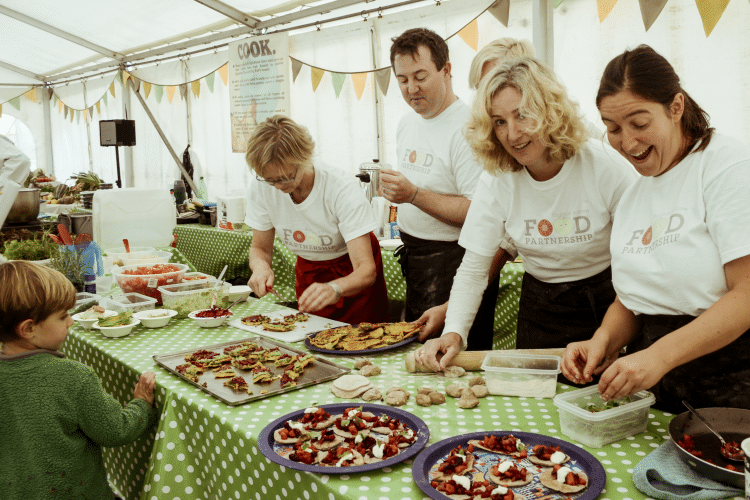 We’re pleased to welcome back the Brighton & Hove Food Partnership back for a second year as sponsors of the Best Budget Bites category in the 2018 BRAVOS! 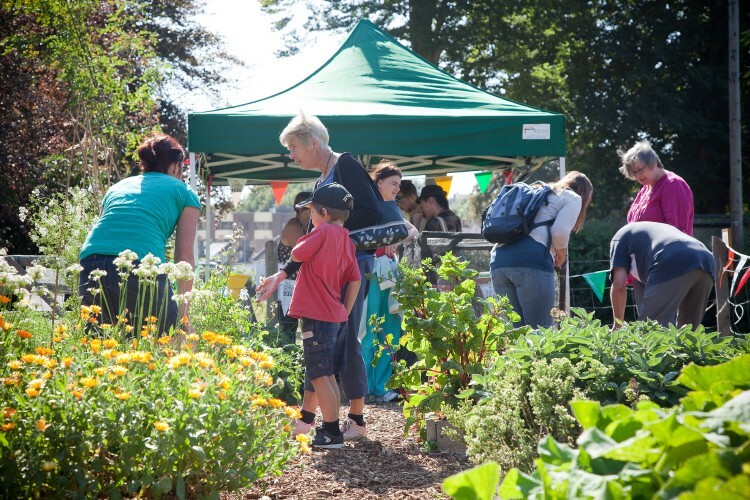 For those who aren’t familiar with the organisation, read on to find out the fantastic work they are doing in the city, including Brighton food banks and a community kitchen! Most people who live in Brighton & Hove know about the vibrant restaurant scene and amazing ethical food shops like Hisbe and Infinity. 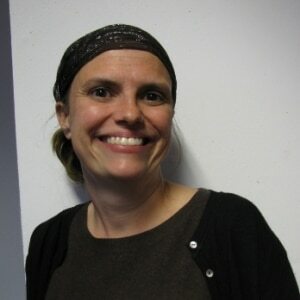 But they may not know about the work of thousands of volunteers who are using the power of food to bring people together and change lives; people who are sharing meals with isolated neighbours, picking up unsold food from supermarkets and delivering it to Brighton food banks, or sharing their knowledge about how to grow your own food. Here at the Brighton & Hove Food Partnership, we’ve been working with these inspiring volunteers and community groups since 2003. In that time we’ve helped over 10,000 people learn to cook, grow their own food, eat a healthier diet and waste less. We believe food is more than just fuel, eating is central to life’s celebrations and memories, and our approach is to use this power of food to bring about change. This work is particularly important because Brighton & Hove is a divided city, where life expectancy is 10 years lower in deprived neighbourhoods on the outskirts compared to the city centre. How much do you know about the hidden side of Brighton’s food scene? There are an incredible 75 community gardens where people grow food together in urban spaces from allotments to parks to housing estates. Many gardens aim to provide a therapeutic experience in nature for vulnerable people, from those with mental health problems and dementia to learning disabilities. We run the UK’s most successful Casserole Club scheme which connects people who can share an extra portion of food with an isolated person living nearby. Once there was a time when people knew everyone on their street, now we are using technology to make those connections again, and hearing heartwarming stories of friendships made along the way. A recent survey shows over 20% of Brighton’s residents are worried about meeting their basic living costs. We have led pioneering work on food poverty, ensuring people who visit the 13 Brighton food banks receive the financial advice they need to make a longer-term change in their lives. 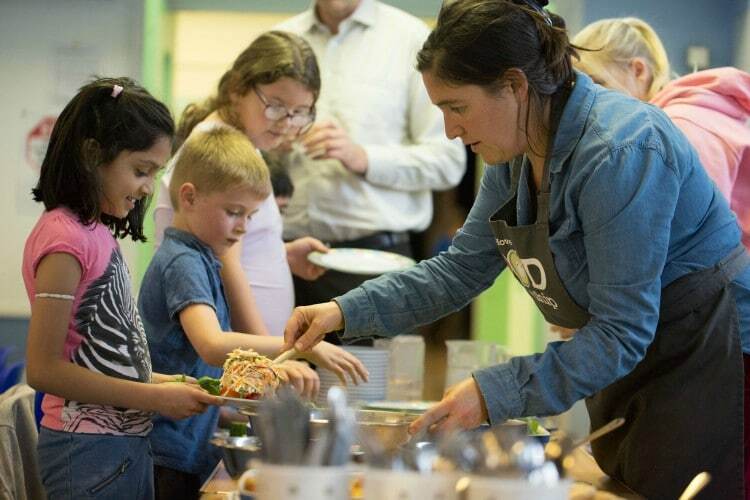 We are serious about food waste – volunteers are busy every day at projects like the Real Junk Food Project which turns food that could have been wasted into dishes for a ‘pay as you feel’ café. Volunteers collect, redistribute and cook food which could have ended up in the bin – to feed vulnerable people at food banks and lunch clubs who struggle to afford healthy meals. We also run community composting schemes at 30+ sites where residents can bring their food waste and share in the compost produced. We are about to build the city’s first central Community Kitchen – right on Queens Road – a cookery school where everyone can cook, learn new skills and enjoy food with friends. 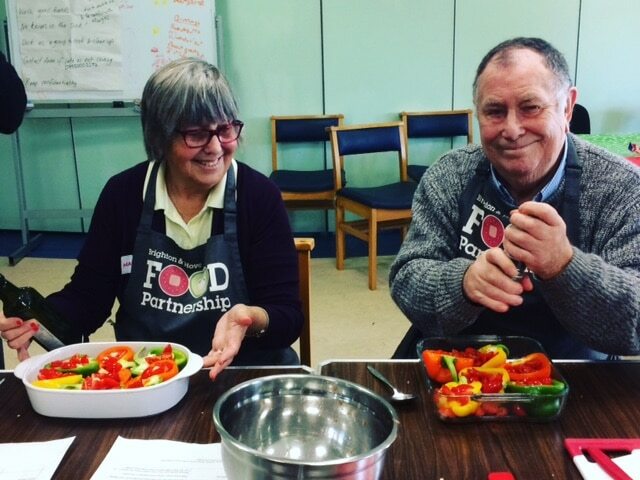 If you want to attend a masterclass with a local chef or help ensure everyone can learn basic cookery skills, then support the crowdfunding campaign for the kitchen during February. Find out how you can get involved or support this work at www.bhfood.org.uk or call 01273 431700.